Is this the new Audi R8? 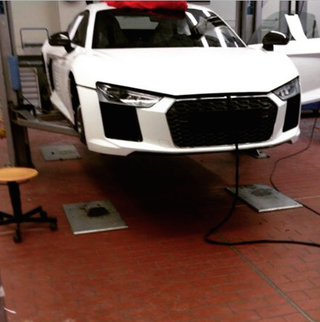 Yes, this is probably the new Audi R8. According to Instagram user Dreboog, he was able to get ahold of the leaked photograph of the front (as well as unreleased photos of the sides and the rear). Of course, he is not naming his source.